Web Stats for your website are important to determine everything about the visitors to your website. This information includes total number of visits, broken down by monthly, weekly or hourly, what countries your visitors are from, how your visitors found your website, bandwidth used and much much more. Scroll down to 'Metrics' section and choose 'Awstats'. 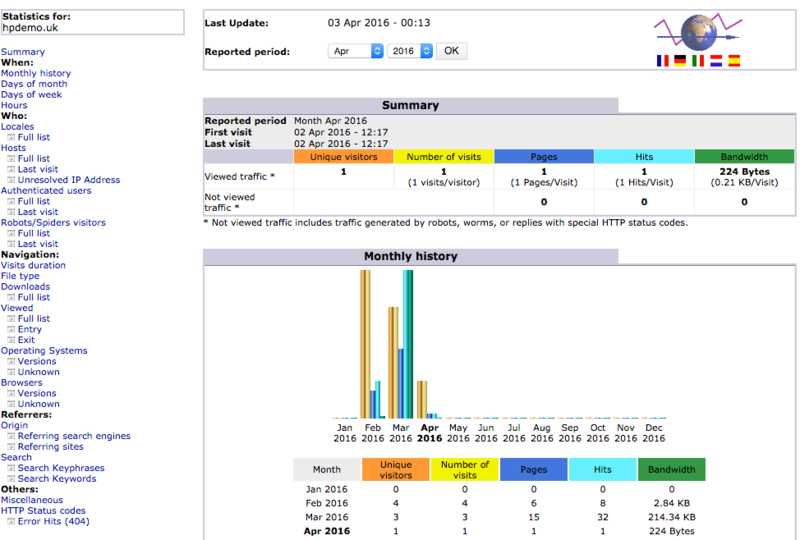 Select 'View' for the domain that you are interested in viewing the stats on. The Awstats information will now present all known statistics for your chosen domain. The initial summary will provide visitor information. Down the left hand side, there's an extension menu that includes much more data that you can use to understand more about your visitors to incorporate optimisations. Viewing your web stats is now complete.